Browse our titles to find out more about our books. Click over to the order page when you're ready to order! If it's true that great writers never die...do they become ghostwriters? Four authors explore this cultural conundrum in ten frightfully amusing holiday stories. First presented as oral entertainment at annual Gaudy Night--celebrations of Canadian author Robertson Davies--these literary tall tales deliver chills, chuckles, and high spirits. 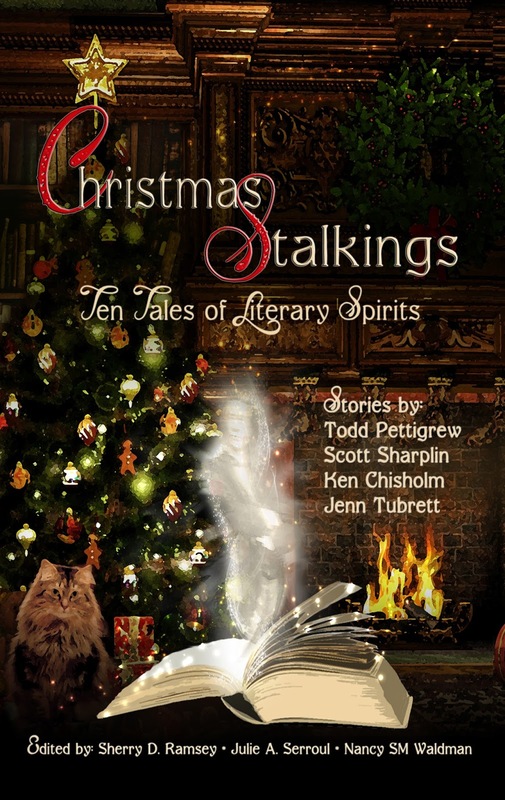 And they might make you look at the holidays--and a few literary greats--in a new light. 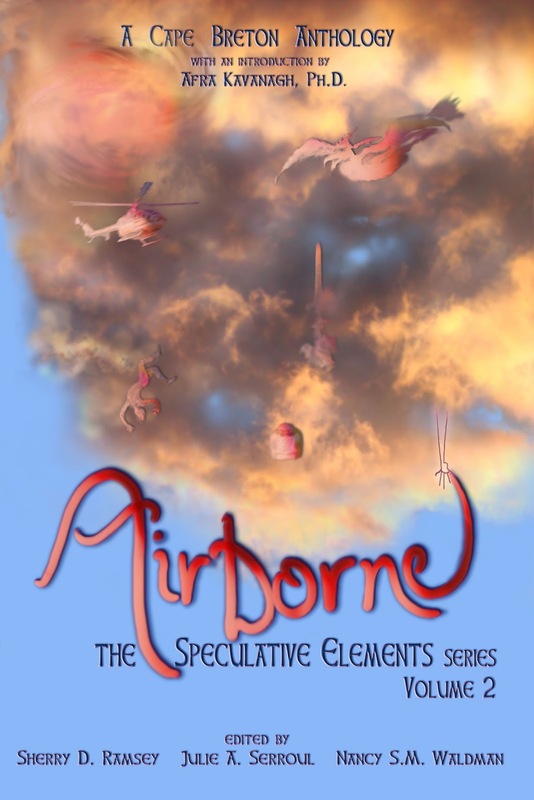 The Speculative Elements, Vol. 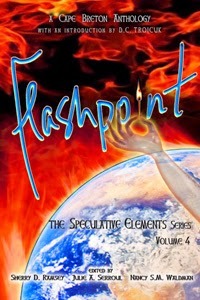 4 Flashpoint: The moment when everything changes...when things come together...and burst apart. This volume offers fifteen new stories from Cape Breton authors--stories that go from warmth to hearth to heat, all the way to combustion and beyond. Contributors: D.C. Troicuk (Introduction), Patrick M. Charron, Kerry Anne Fudge, Larry A. Gibbons, Steven Fraser MacLean, Bruce V. Miller, Sue McKay Miller, Katrina Nicholson, Sherry D. Ramsey, Julie A. Serroul, Peter Andrew Smith, Stephanie Snow, Bridget Sprouls, Jenn Tubrett, Donald Tyson, Nancy S.M. Waldman. Imagine that you are trapped in a grey area, neither here nor there, in-between time, space, colours, lives. 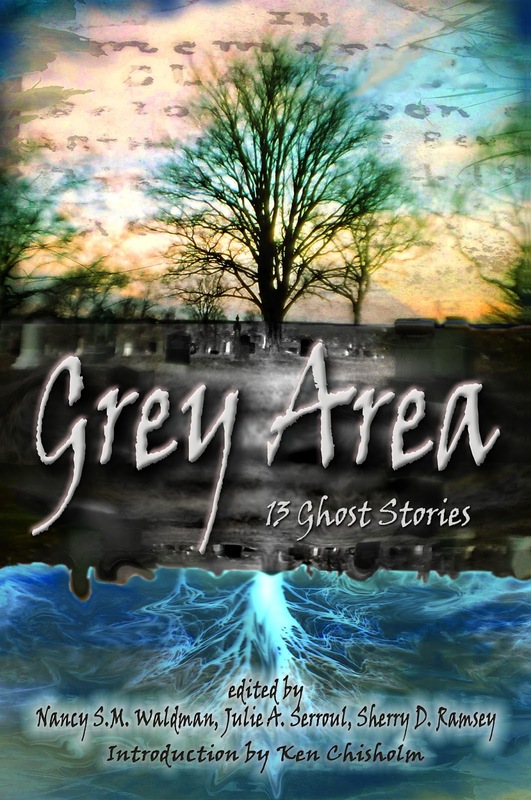 The vivid stories in Grey Area: 13 Ghost Stories bring this scenario to life. Thirteen strong authors show us what it is like to be in-between in this contemporary, varied, spooky and often touching collection. Contributors: Ken Chisholm (Introduction), Theresa Dugas, Meggan Howatson, Voula Kappas-Dunn, Hugh R. MacDonald, Nancy MacLean, Charlotte Musial, Katrina Nicholson, Leah Noble, Sherry D. Ramsey, Julie A. Serroul, Diane J. Sober, D.C. Troicuk, Nancy S.M. Waldman. 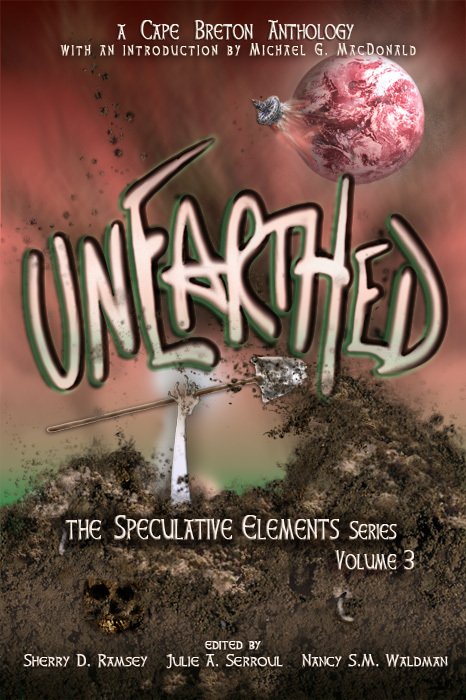 The Speculative Elements, Vol. 3 Earth--the ground of our being, the dust from which we come, and to which we will return. Imagine what might arise from and disappear into the soil...what grows, what is buried, what teems unseen. 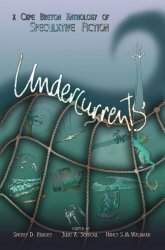 This collection, exploring the ends of the Earth and beyond, offers tales from the depths of darkness: zombies, vampires, murky unknowable worlds, underground prisons, malevolent spirits--to the lightest heights: earthen magic, little people, buried treasure and fantastical creatures! Dig in. These twenty-one stories will thrill, scare, surprise and delight. 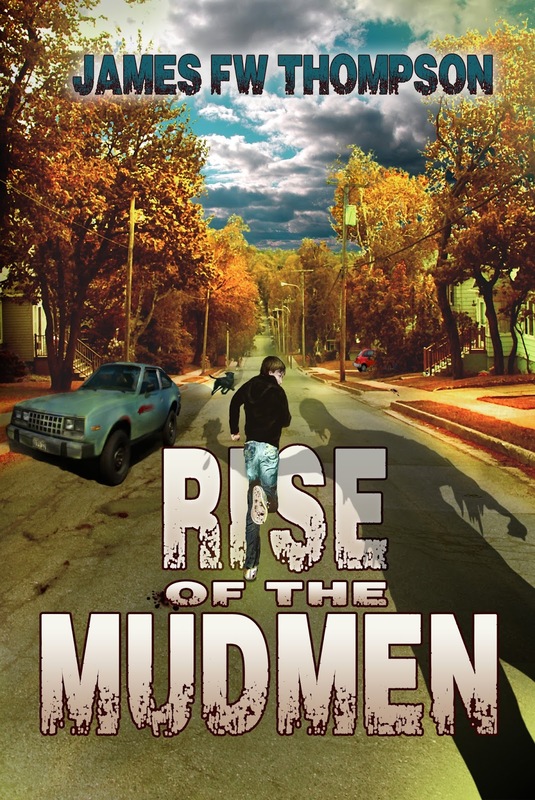 Contributors: Michael G. MacDonald (Introduction), Mona Anderson, Walter Carey, Ken Chisholm, Wesley J. Colford, Kerry Anne Fudge, Larry Gibbons, Meg Horne, Joyce MacDonald, Lorena Mann, Bruce V. Miller, Katrina Nicholson, Wade Rideout, Alicia Serroul, Peter Andrew Smith, Stephanie Snow, James F.W. Thompson, Jenn Tubrett, Donald Tyson, Sherry D. Ramsey, Julie A. Serroul, Nancy S.M. Waldman. Collected Stories by Sherry D. Ramsey Sherry's stories have appeared in serial publications and anthologies in Canada, the US, and Australia, and are collected here in one place for the first time. 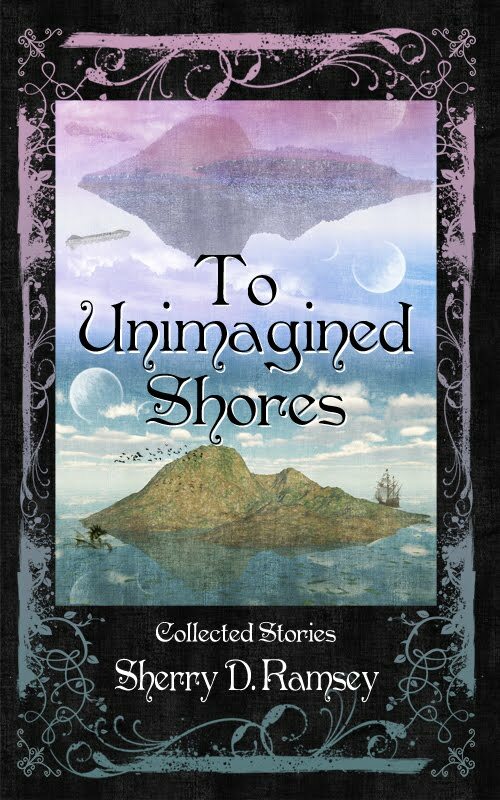 To Unimagined Shores offers seventeen stories in total, including a new, never-before-published story in her popular "Albettra" series. What sorts of things wash up on unimagined shores? Hitch-hiking aliens. Kidnapped embryos. Victorian time-machines. Spaceport detectives. Itinerant scribes. Otherworldly companions. The discerning beachcomber will discover even more curiosities on the pages within: physicists and journalists, wizards and apprentices, angels and devils, telepaths and aliens. The seventeen stories in this collection are by turns funny, tragic, light-hearted and serious, but all share this in common: they will carry you to distant shores of imagination, and, once there, show you things you hadnâ€™t known before. These fourteen stories and three poems, all in the SpecFic genres, breathe unexpected possibilities into the atmosphere that surrounds and fills us. Take flight with these tales and explore what is always elusive: microscopic particles, airwaves, wind, space, sound, and spirit. These talented writers--all with a connection to Cape Breton Island--share stories of timeless love, enchanted flight, punkish cybercrime, unexpected gifts of healing, journeys beyond imagining, past lives on Scottish isles, the knock at the door you never want to answer, and much more. Contributors: Afra Kavanagh, Ph.D. (Introduction), Chris Benjamin, Jill Campbell-Miller, Ken Chisholm, Donna D'Amour, Kerry Anne Fudge, Meg Horne, Theresa Dugas Mac Kay, Bruce V. Miller, Krista C. Miller, Sue McKay Miller, Katrina Nicholson, Peter Andrew Smith, D.C. Troicuk, Sherry D. Ramsey, Julie A. Serroul, Nancy S.M. Waldman. Contributors: Douglas Arthur Brown, Julie Curwin, Kerry A. Fudge, Larry A. Gibbons, Bruce V. Miller, Krista C. Miller, Katrina Nicholson, Seanah Roper, Stephanie Short, Peter Andrew Smith, D.C. Troicuk, Sherry D. Ramsey, Julie A. Serroul, Nancy S.M. Waldman.